What makes a person influential to those around them? Think of a person who you really want to be like. What about that person caused you to want to be like him or her? Now ask yourself ... do my kids want to be like me? Do they want to follow me? When they are young we can make them follow us ... but before long they will make the decision on their own. I am not talking about being a "buddy" or a "friend" to your child, this is LEADERSHIP here. Effective leaders are people who draw others to themselves through their character, integrity, proficiency and concern for those that follow them. They gain influence by earning trust and respect. 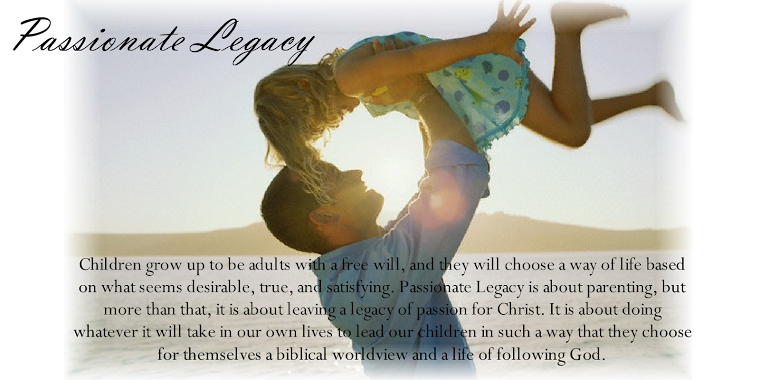 As Christian parents it is our calling to lead our children to choose a godly lifestyle through our godly lifestyle. To do whatever it takes to be the type of Christian leaders of our homes that are worth following. Some parents see their job as convincing their kids that Christianity is true or trying to push them into adopting a biblical world view. The problem here is that no one is ever "convinced" or "pushed" into a world view. People adopt a world view based on a combination of their observations, experiences and beliefs that they have chosen. For parents to think that they will choose their children's world view is a fallacy that is extremely detrimental in how they parent their children. Peter tells Christian wives who are married to unbelieving men ... "if any of them do not believe the word, they may be won over without words by the behavior of their wives, when they see the purity and reverence of your lives" (1 Peter 3:1). This idea of winning them over without words, but through the way we live our lives is very instructive for the parent. Many Christian parents want their kids to share their beliefs, but the lives of the parents often communicate to the kids that "Christianity doesn't work!" It has to start with us. It has to start with our lives. It has to start with winning them over "without words".